ASTANA – Kazakh National Bank and Uzbek Central Bank signed July 10 an agreement to exchange information in the banking sector that will allow Kazakh banks to open subsidiaries and offices in Uzbekistan, said Kazakh National Bank Chair Daniyar Akishev at a press conference following the signing of the agreement. Kazakh National Bank Chair Daniyar Akishev (L) and Uzbek Central Bank Deputy Chair Timur Ishmetov (R). Kazakh banks, however, need to meet several requirements, which include an authorised capital stock of no less than 100 million euro (US$116.87 million) for a parent bank and 100 billion Uzbek som (US$12.77 million) for a subsidiary bank, as well a long-term foreign-currency issuer default rating (IDR) of B and higher given by main credit ratings agencies, such as Moody’s, Fitch or Standard & Poor’s. The two countries will be exchanging information on significant changes that affect their banking sectors as well as legal regulation and control as envisioned by national laws. “Specialists have been working on the document for several months. It creates conditions for coordination of oversight functions,” said Timur Ishmetov, Uzbek central bank first deputy chair. Akishev believes the ongoing reforms in Uzbekistan will encourage local banks to set up work there. 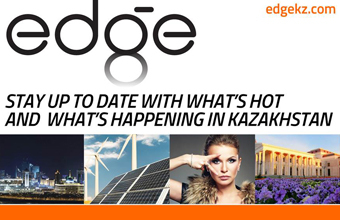 “The big capacity of this market, large population, financial accessibility, in fact, demonstrate a huge potential of this market and probably at some point many Kazakh banks will become interested in this business,” said Akishev. 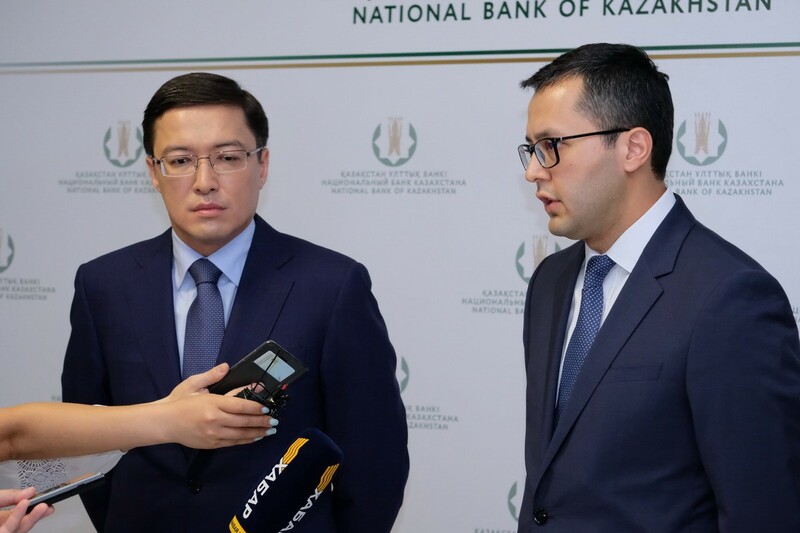 Halyk Bank, one of the largest banks in Kazakhstan, which is currently going through an integration process with leading Kazakh bank Qazkom, is interested in entering its neighbour’s banking sector, said Akishev. He hopes other Kazakh banks will be encouraged to open offices in Uzbekistan. Halyk Bank Chair Umut Shayakhmetova said in May that the group is planning to expand its geography to Uzbekistan. The bank’s activities span five countries – Kazakhstan, Russia, Kyrgyzstan, Tajikistan and Georgia. “We have an interest in entering the market of Uzbekistan, because the Halyk group occupies a significant place, level and share not only within the Kazakh market, but also in the Commonwealth of Independent States,” she said in May. The bank is now collecting the documents that it will submit to the Kazakh National Bank and Uzbek Central Bank to obtain the license. Bilateral ties between Kazakhstan and Uzbekistan have been dynamically growing over the past year after Kazakh President Nursultan Nazarbayev and Uzbek President Shavkat Mirziyoyev, who set forging close ties with its neighbours in Central Asia as a priority since his assuming the power in 2016, agreed to step up trade and economic cooperation. The trade turnover reached $2 billion last year witnessing a 31.2 percent increase compared to 2016. The governments agreed in March to bring trade turnover to $3 billion in 2018 and $5 billion by 2020. Exports from Kazakhstan grew 35 percent in 2017 to $1.3 billion, while imports increased 25.1 percent to $735.2 million.